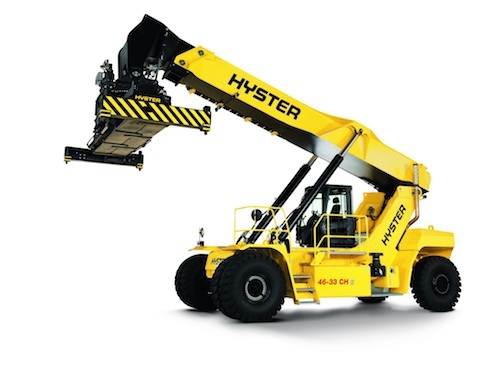 Hyster Europe is currently developing a zero-emission reachstacker featuring a hydrogen fuel cell for the port of Valencia, as part of the European Horizon 2020 programme and H2Ports project. “An on-board Hydrogen fuel cell will charge the battery on the forthcoming fully electric Hyster Reachstacker,” said Jan Willem van den Brand, Director Big Truck Product Strategy and Solutions at Hyster Europe. “As the first of its kind, we expect the new Hyster Reachstacker will be able to support continuous operations while providing zero emissions and achieving comparable full shift performance to a conventional IC reachstacker,” he added. According to Hyster Europe noise levels will be low, and users can expect a reduction in energy costs. The company also expects reduced vehicle maintenance costs thanks to the elimination of the engine, transmission and other mechanical-driven components. “Achieving zero emissions for container handling equipment at seaports is a substantial challenge.The highly demanding and varied duty cycles in these intense operations make battery recharging time a critical factor. 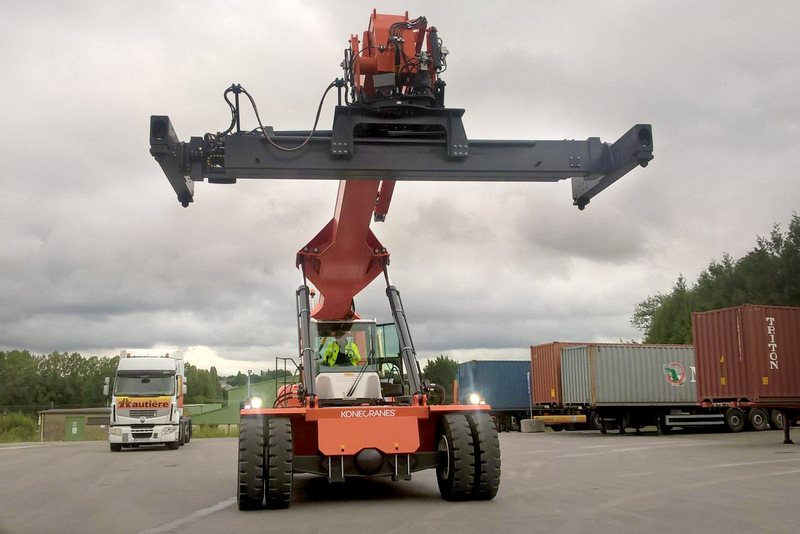 These and other technical limitations have obstructed the electrification of container handlers or large lift trucks until now,” concluded van den Brand. 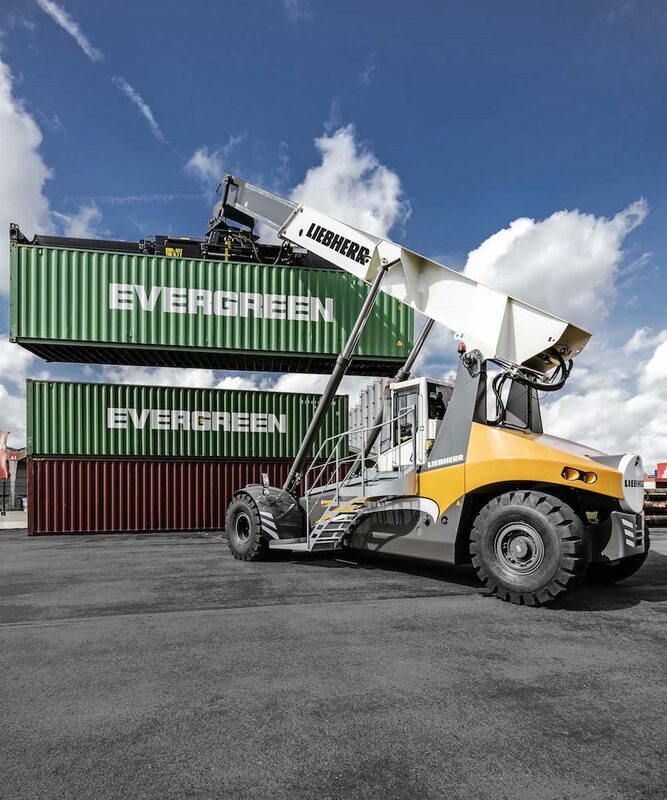 The new reachstacker is expected to enter operation in 2021 at the MSC Terminal Valencia (MSCTV) in Spain, where it will undergo thorough testing handling laden shipping containers alongside several existing reachstackers. In the Port of Durban, the seven Liebherr LRS 545 reachstackers are working effectively ! 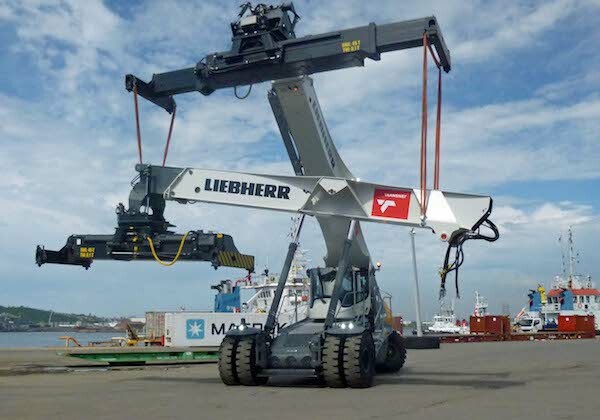 Liebherr had delivered seven LRS 545 reachstackers to South Africa’s Port of Durban in December 2017, following an order made by Transnet SOC Ltd, a freight transport specialist . They had been dispatched from the manufacturing site in Sunderland, Great Britain, last February. Thanks to the on-site assembly by Liebherr service engineers, all seven units have already been put into operation in March 2018. After half a year of permanent 24/7 operation, the machines have impressed the South African freight transport company. 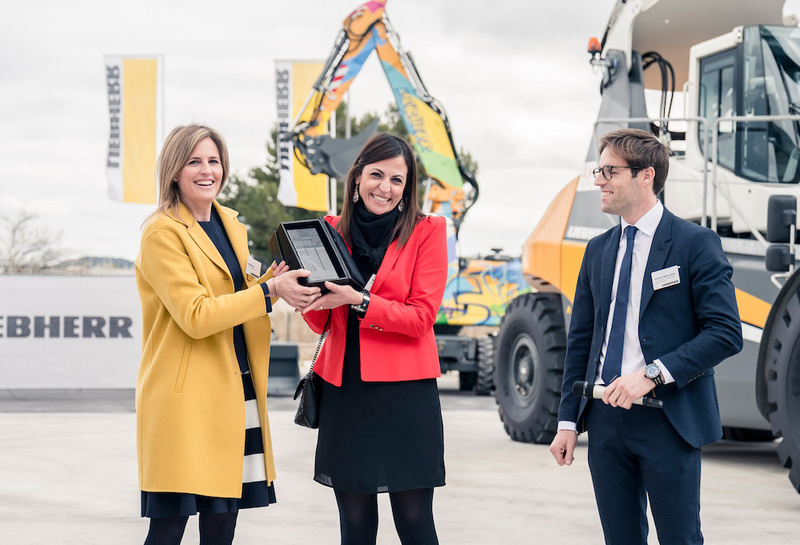 During the TOC Europe trade fair, which took place in Rotterdam, Liebherr showcased two new reachstackers models, LRS 545-35 and LRS Log Handler. The first one, lifting 35t in the second container row, is more powerful than this other ones of the same range. The Log Handler has a 30t lifting capacity and its 8,5m telescopic boom stacks height of up to 8,9m.